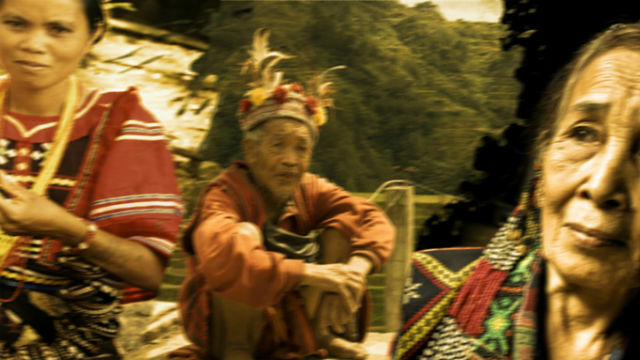 BONTOC, Mountain Province – The newly appointed regional director of the Cordillera Office of the Department of Social Welfare and Development (DSWD-CAR) challenged indigenous peoples (IPs) from the different parts of the region to serve as pride of their communities to help in negating the perception of other people on the attitude and behaviour of IPs. DSWD-CAR regional director Janet Armas said the IPs draw their inspiration from nature or their environment, they are patient and persevering, as well as they strive their best to improve the lives of their families and the overall situation of their communities. Armas was the keynote speaker during the program for the grand streetdancing and grand street chanting of the 15th Lang-ay festival held in this capital town Saturday, a key part of the week-long celebration of the province’s 52nd founding anniversary. “Indigenous peoples must sustain the efforts to preserve and protect their rich culture and traditions for them to pass on to the next generations. Let us not allow our culture and heritage to get lost along the way. Let us embolden our efforts to preserve and protect the age-old traditions passed on to us by our ancestors because we need to treasure such traditions,” Armas stressed. The DSWD-CAR official narrated that when she was a child, she had to walk for several kilometers from their village to attend completing her basic education as a member of a tribe in the region. Additionally, when she in college, she washed carrots at the La Trinidad vegetable trading post to earn part of her school expenses. Armas admitted she was just so lucky that she found some people who were friendly and understanding that they allowed her to stay in their houses despite being delayed in the payment of her rent for her boarding house. Armas get her appointment as DSWD regional director last March 21, 2019 after having rose from the ranks, occupying various positions in the agency right after graduating from her Bachelor of Science in Social work course at the St. Louis University (SLU) over three decades ago. She underscored the conduct of festivals around the region, like the Lang-ay, is a concrete testament of how IPs value the rich culture and traditions of their peoples and there should be consolidated efforts among the IPs to document and pass on the same to the next generation. Armas asserted that IPs must maintain the momentum they gained in response to the call for cultural and heritage preservation because their rich culture and heritage remain the intergenerational bond.